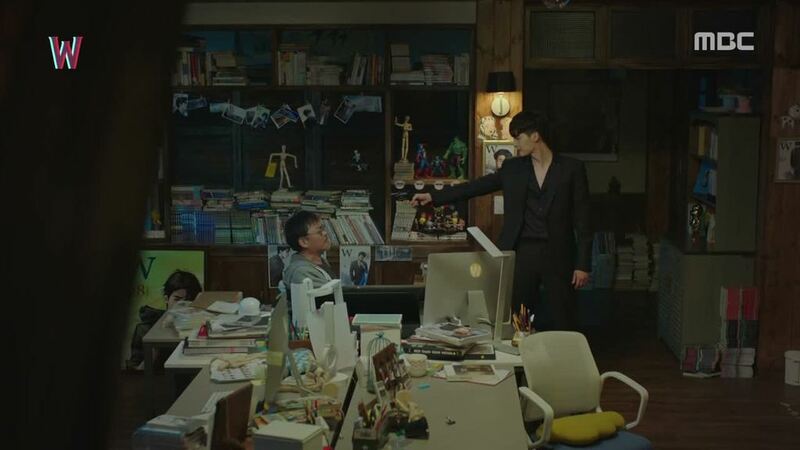 Over the years, Korean dramas have followed a very predictable routine and hence it is a breath of fresh air when you find a drama that does not follow the predictable format.W-Two Worlds falls into that refreshing-breath-of-air category. But most of the time I am catching my breath because I have no clue what is going to happen. It's already 13 episodes and yet I have no clue how this would end? 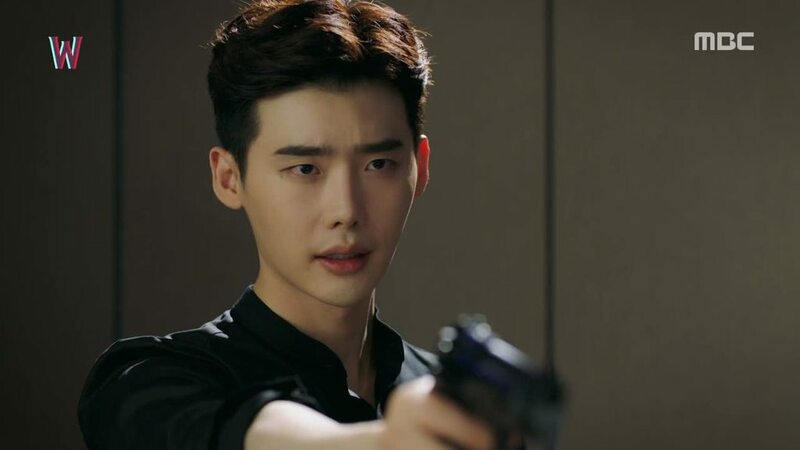 But something that would help me pass my time till the finale comes in is to watch each episode so I can swoon at every one of Lee Jong Suk's expression. Also I love how naughty he is. 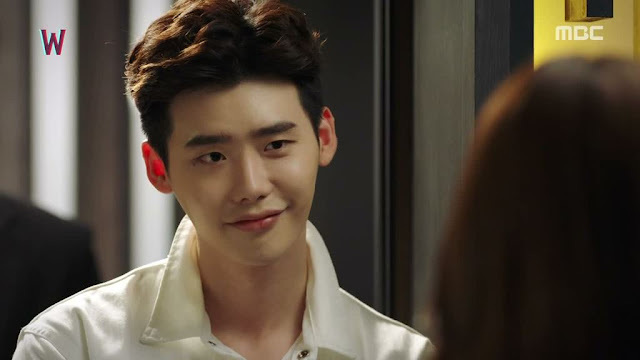 I have always seen Lee Jong Suk in a "goodie goodie" role and I absolutely adore that he has a slight adult naughty side to his character in W.
In episode 11, we were crying along with Oh Yeon Joo when Kang Chul couldn't remember her. And that tiny scene where she covers her face with the book had such a major plot change in ep 11. 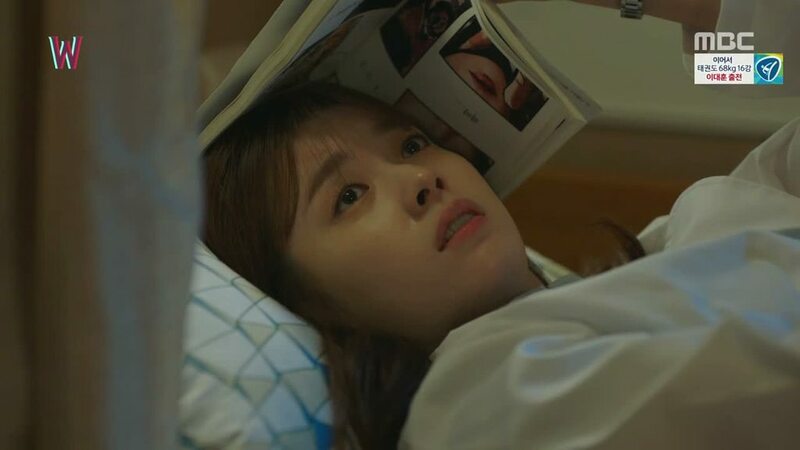 We knew that she herself would not reveal the truth to Kang Chul, so what better way that for a book to reveal the truth. Simple and so effective. In episode 3, we got to see the killer make an appearance out of nowhere. While Kang Chul was taking care of Yeon Joo, the killer appeared in his apartment and tried killing Yeon Joo. I thought nothing really of it at that time. But that scene just gave us a clue about the character of the Killer. He can defy any comic book logic and appear anywhere anytime. When Mr. Oh or Dad talks to Kang Chul in episode 5, we get to see the motive behind creating the killer character. It was nothing expect to make Kang Chul stronger. He had no other purpose. And what he says next explains everything about what happened before about the random appearance of the killer and after. Whenever the writer needed a twist in the story, he brought in the killer. So again an explanation and a hint that the killer can defy any comic book logic. In episode 1, we saw that Soo Bongn called up Yeon Joo because he could not find Mr. Oh. This was never revealed till episode 5. We knew something had happened to him, but it never was left unanswered. When Kang Chul shot at Yeon Joo, he said he knew she would survive. How? Why? Again answers were delivered to us in episode 5 when Kang Chul narrated how he tried to fight back against Mr. Oh but nothing happened to him. So these just show how well thought out and packed each episode is. We know that every tiny detail that was mentioned had a reason and an answer to it. 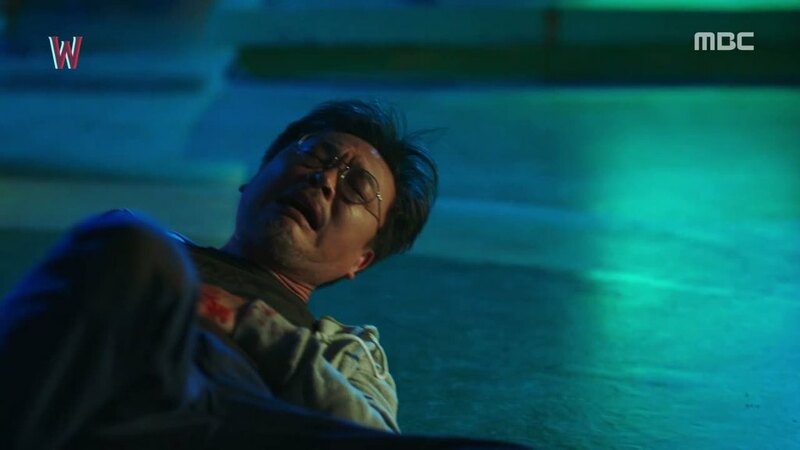 With just 4 episodes left, I am just trying to catch my breath after an exhilarating episode 12. Share your thoughts about W in the comments below. What were your most favorite moment in the series.